Outlook: “It will be another competitive spring in Southern Maine Class A Baseball,” Nadeau says. “This could be a year where we see pitchers dominate the SMAA. I think every team has one or two guys who they really believe can give them a great chance to win on a given day.” Nadeau’s key matchups are those programs he sees as potential top tier teams – but he discounts nobody: “Just about everyone [has] the capability to break into that group,” he says. The Rams lost 10 seniors after last year’s superb run, meaning they’ve got a lot to learn about themselves, this go-round. They do have the pieces to assemble another strong spring, though: Sladen and Curesky are veteran pitchers, as is Goschke, who returns to Gorham this year after spending three in Texas. “We like the chemistry of this group and we are anxious to see how the younger and less experienced kids acclimate to SMAA varsity-level competition,” Nadeau says. Outlook: “Last year was clearly a transition year for Gorham, and this group of Rams seems poised to forge a path deeper into the postseason,” Jones says. 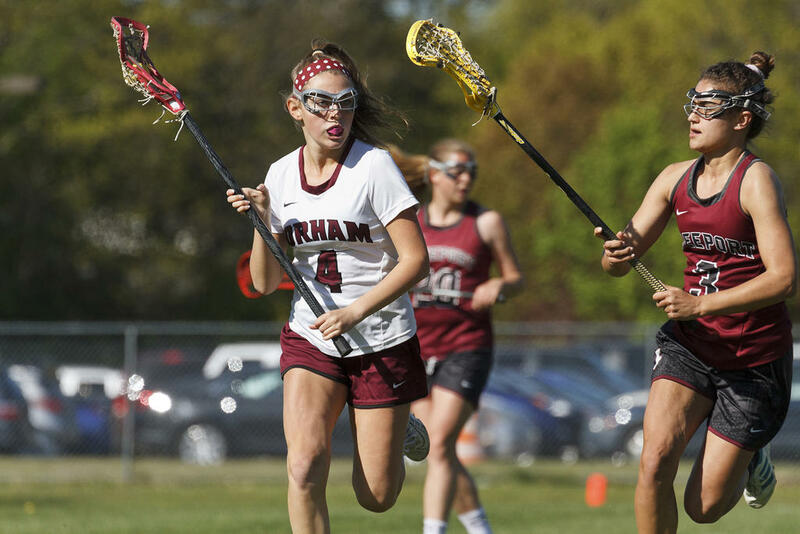 In 2018, Gorham earned impressive wins over longtime rivals Scarborough, as well as Kennebunk; they perhaps surprised themselves, however, by dropping bouts vs. Windham and Massabesic. The Rams’ chief strength lies in their attack, where Dupuis, Dougherty and Lorello all stand out. Brown and Hepler, who split time in the cage last year, are both excellent keepers who’ll anchor the defense – important, since Perreault is otherwise the only returning starter on that end of the field. Fans have plenty of reasons to be optimistic about this squad’s chances. Outlook: “We’re focusing on tightening up our defense first,” Guimond says, “but really hope to find some offensive sparks and find ways to finish on attack.” The Lady Rams lost nine seniors to graduation last June, but return a sizeable group of quality upperclassmen this spring, not to mention a motivated group of underclassmen. “[Hume, Walker and Walton] will be our rocks as we work to fill the holes left by our graduating low defenders,” Guimond says. “And we’ll look to attackers like [Morrill, Dillon, Nichols and Lowell] to run a balanced offense.” It’s hard to say where this spring will take the Lady Rams, but they do have potential. Outlook: “We lost a lot of leadership last year,” Whipkey says, noting that her five departed seniors were all starters, “and are definitely a young team, but I believe we can be competitive. Offensively, we do have some big returning bats. That, paired with some of our speed, will hopefully lead to runs on the board.” Biamby and Tracey both posted big batting averages for the Rams last spring, despite being underclassmen at the time, and can be counted on to do the same this time around. “Defensively,” Whipkey says, “girls are still looking to establish their roles. I think once we can put it all together, we can find ourselves having a lot of success this season.” Three of the Rams’ first four games come against some of the SMAA’s toughest outfits – the Storm, the Mustangs and the Knights – so the early part of the season will mark a crucial test for Gorham. Outlook: “We’re all very excited to start a new season with both familiar and new faces,” Bergeron says. “Many of the girls will get a chance to grow into their new positions on the ladder. We’re looking forward to a solid and successful season.” The Lady Rams are particularly strong at No. 1 singles, where Bolt lost just two matchups last year, and at doubles, where Haley Burns and Izzy Kolb are…hoping at least to repeat last year’s record of only one loss.” The team is experienced almost everywhere, and can be expected to turn in another fantastic run. Boys tennis coach Aaron Landry couldn’t be reached. Hailey Morrill returns for the Lady Rams this spring. Connor Dougherty returns to the Rams for his senior season.